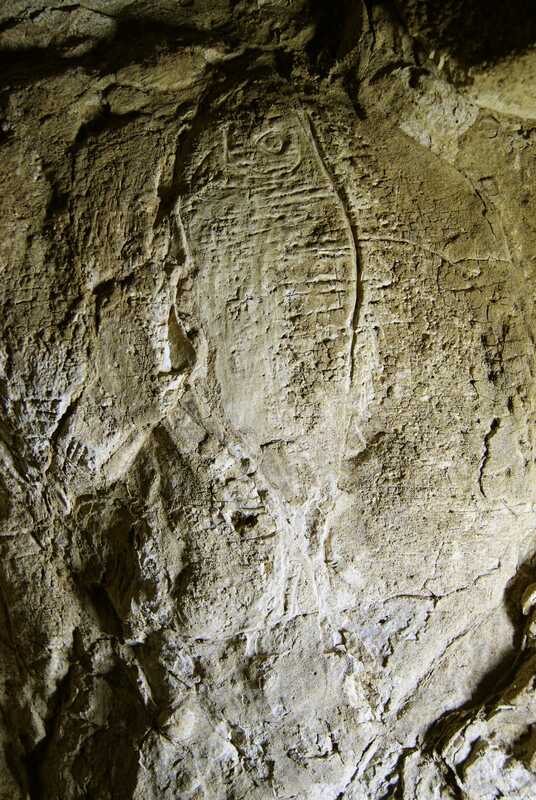 The studies of Paleolithic rock art in the Basque Country have develop a major advance in the last five years. In these years two new sites in Bizkaia region (Askondo and Lumentxa) and three more in Gipuzkoa (Aitzbtarte IV, Danbolinzulo and Erlaitz) have been discovered. Also, three monographic studies have been published (Santimamiñe, Askondo and Altxerri), and several publications have been devoted to this subject. The quantitative jump has been considerable, from eight known sites in 2010 to 13 sites in 2015. Also the qualitative advance has been huge, the chronological span of rock art in this region has been expanded considerably with the interpretation of Altxerri B as Aurignacian art, or with the assignation of Askondo cave art to the Gravettian. 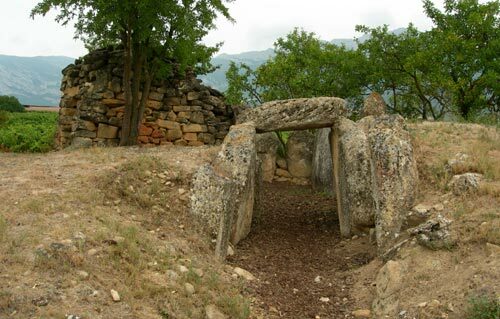 Also new sites with modest assemblages, as Askondo, Lumentxa, Danbolinzulo or Erlaitz are enriching the image of rock art in this region, which up to 2010 was dominated by big sites as Santimamiñe, Altxerri or Ekain, alongside some smaller sites as Arenaza, Ventalaperra or Rincón. Finally, it has been a huge development in rock art analysis and interpretation. The technical improvements in image processing, the introduction of technological analysis and the improvement of statistic procedures have strengthen considerably the basis of this archaeological discipline. At the end of the post you will find a complete reference list with links to the main publications about Basque Country rock art published in the last 5 years. The well known site of Santimamiñe was re-analyzed and re-studied by C. González Sainz and R. Ruiz Idarraga (2010). The work developed here is the last systematic approach to the famous Magdalenian art in this cave. It offers a new, systematic and improved lecture of the images represented in the cave. Although the rock art of Santimamiñe, famous by its black figures of Horses and Bisons, has not been directly dated, the thematic and stylistic comparisons, made through statistic approaches, suggest a Middle to Upper Magdalenian chronology. In 2011 the rock art site of Askondo was discovered by D. Garate, A. Ugarte and J. Rios-Garaizar. Askondo was the first cave of the Basque country discovered far from the actual coast, in the interior of Bizkaia. 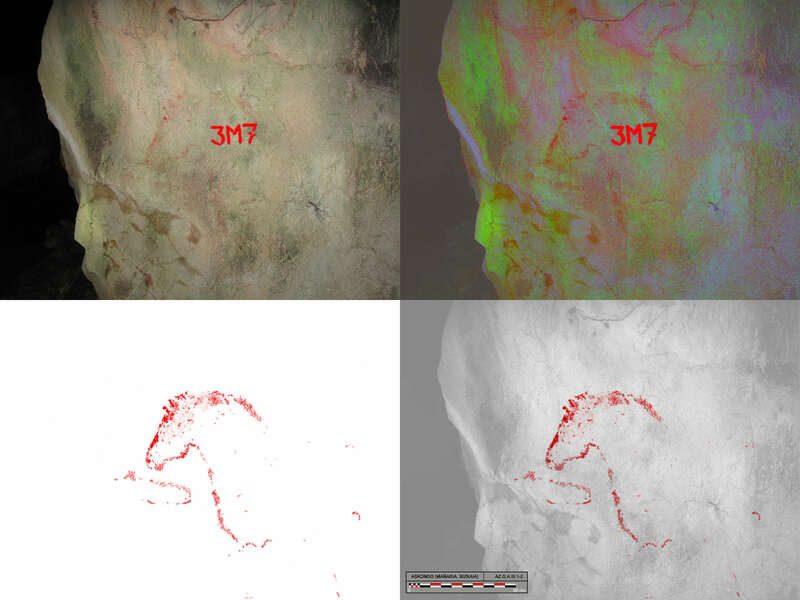 The graphic assemblage consisted in several characteristic horse figures, typical from pre-Magdalenian art, a hand stencil and several red traces. This art was interpreted as Gravettian grace to the direct dating of another symbolic expression discovered near the main panel, a deer bone stuck in the wall, by contextual interpretation of the excavation made near the same panel, and by stylistic comparison with Western European Gravettian art. Also, for the first time in the Basque Country, enhanced visualization techniques, as the multispectral photography, were used to read the decorated panels. 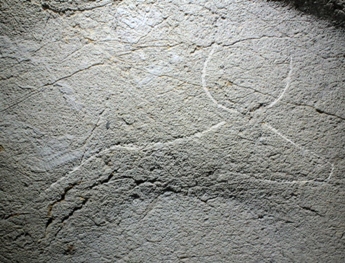 In 2012 the rock art in the well known cave of Lumentxa was discovered by D. Garate and J. Rios-Garaizar. In this case this was the first evidence of rock art in the Lea-Artibai region. The site, made public in 2014, offers an unique decorated panel with two red bisons and an horse head. The style of the paintings relate it to the later phases of the Magdalenian. In 2013 an interesting review of Altxerri B rock art was published. 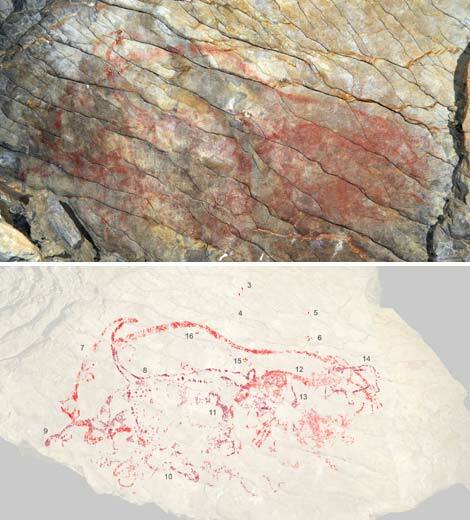 In this study the images represented in the main panel (among others a giant bison, a feline and a bear, all painted in red) are related with the Aurignacian art cycle present in Germany and France. Also the radiocarbon dates obtained for this new study and in previous analyses suggested that the activity related with these paintings happened ca. 36-40.000 years ago. This is particularly relevant because it is the oldest clear figurative art in the region and coincides with the beginning of the Aurignacian and the arrival of the first modern humans to the Iberian Peninsula. As happened with Santimamiñe, the rock art from Altxerri originally studied by Altuna and Apellaniz in 1976, has been recently revised by A. Ruiz-Redondo. This later analysis has served to update the figure catalog, to obtain more precise lectures of the figures and to analyze more exhaustively different thematic, technical and compositive parameters. 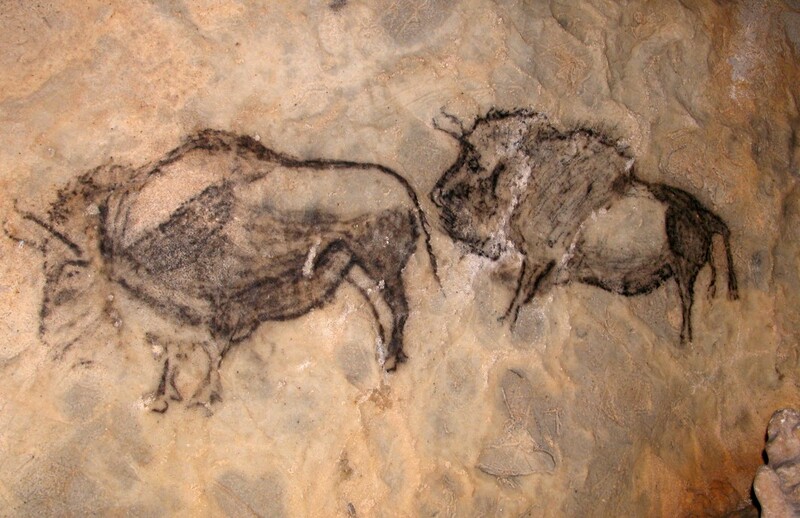 Altxerri is one of the most important Middle-Upper Magdalenian rock art assemblages of the Cantabro-Pyrenean region where bison depictions are accompanied by other “unusual” representations as birds, fishes, fox, hare, reindeer, etc. 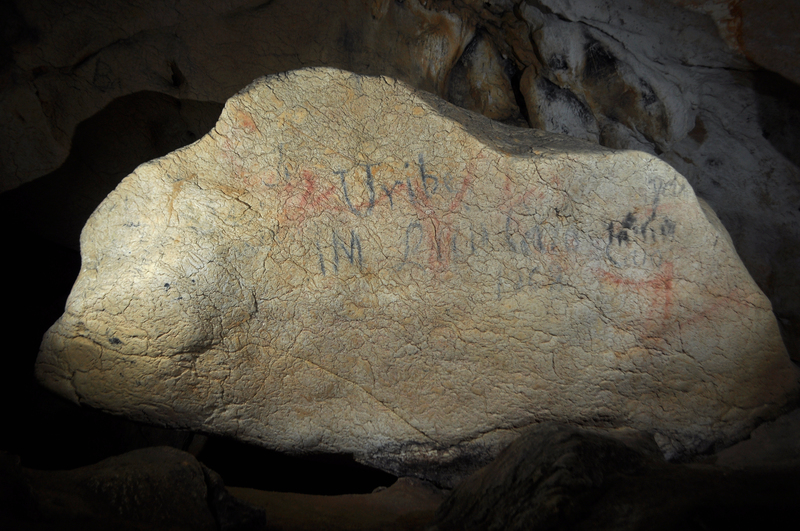 In 2013 a decorated panel an some other evidences were discovered in the well known cave of Aitzbitarte IV. In the main panel a possible zoomorph was painted in red, but it was covered by a calcite flowstone and a precise lecture was impossible. Recently two more caves, situated in the vicinity of Ekain, have been discovered by the Antxieta Kultur Elkartea and are under study by UPV-EHU archaeologists. 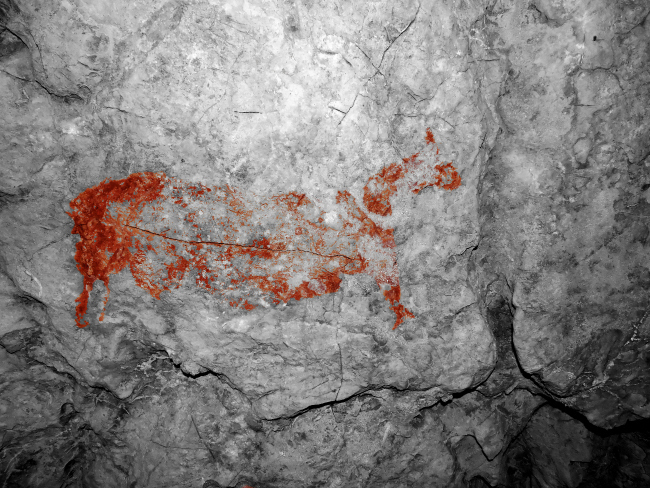 The first one, Danbolinzulo, displays at least five animal figures (deers and a goat) draw in red using the red dot outline technique, similar to those from Arenaza, that are usually related with Gravettian or Solutrean cultures. In the second one, called Erlaitz, engraving is used to depict hinds, horses, aurochs and bisons, but in this case it is attributed to Magdalenian. After decades with no remarkable contributions to the knowledge of Paleolithic rock-art, the discoveries and re-analyses made in the last five years have situated the Basque Country in the center of the debate about Paleolithic art. The discovery of small sites with Magdalenian art or the discovery of sites with Initial Upper Paleolithic rock art are major landmarks in this process. Garate Maidagan, D. 2012. Altxerri y los grandes santuarios magdalenienses del país Vasco Atlántico. In: Agirre-Mauleon, J. (ed. ): Altxerri. Aranzadi Bilduma 01, Donostia, pp. 40-47. Garate, D., Rios-Garaizar, J., 2011. La grotte ornée d’Askondo (Pays Basque): Nouvelle découverte dans le golfe de Gascogne. INORA 61, 3–9. Garate Maidagan, D., Rios-Garaizar, J., 2012. La cueva de Askondo (Mañaria, Bizkaia). Arte parietal y ocupación humana durante la prehistoria. Kobie (Serie BAI), 2. Diputación Foral de Bizkaia, Bilbao. Garate Maidagan, D., Rios-Garaizar, J., 2012. L’art pariétal magdalénien de la grotte de Lumentxa (Pays Basque). I.N.O.R.A. 64, 16–20. Garate, D., Rios-Garaizar, J., 2013. El arte parietal paleolítico de la cueva de Askondo (Mañaria, Bizkaia), in: de las Heras, C., Lasheras, J.A., Arrizabalaga, Á., De la Rasilla, M. (Eds. ), Pensando El Gravetiense: Nuevos Datos Para La Región Cantábrica En Su Contexto Peninsular Y Pirenaico. Monografías Del Museo Nacional Y Centro de Investigación de Altamira, N.o 23. Ministerio de Educación, Cultura, Madrid, pp. 512–525. Garate Maidagan, D., Rios-Garaizar, J., Ruiz-Redondo, A., 2013. El arte parietal paleolítico de la cueva de Lumentxa (Lekeitio, Bizkaia). Kobie (Paleoantropología) 32, 5–28. Garate Maidagan, D., Rios-Garaizar, J., Ruiz Redondo, A., Tapia Sagarna, J., 2013. 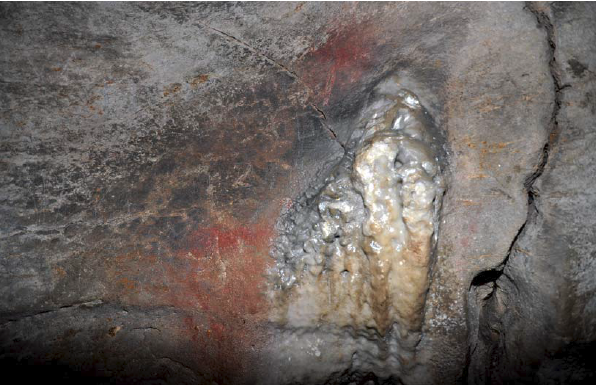 Evidencias de arte parietal paleolítico en la cueva de Aitzbitarte IV (Errenteria, Gipuzkoa). Munibe (Antropologia-Arkeologia) 64, 33–42. Garate, D., Rivero, O., Ruiz-Redondo, A., Rios-Garaizar, J., 2014. El arte parietal en el Golfo de Bizkaia: nuevos descubrimientos, nuevas interpretaciones. Medina-Alcaide, M.A., Romero-Alonso, J. A., Ruiz-Marquez, R. M., Sanchidrián-Torti, J. L. (eds. ): Sobre rocas y huesos: las sociedades prehistóricas y sus manifestaciones plásticas. Universidad de Córdoba and Fundación Cueva de Nerja, Cordoba. pp. 26-39. González Sainz, C., Ruiz Idarraga, R., 2011. Una nueva visita a Santimamiñe. Precisiones en el conocimiento del conjunto parietal paleolítico, Kobie Anejos. Servicio de Patrimonio Cultural. Diputación de Bizkaia, Bilbao. Ruiz-Redondo, A., 2014. Entre el Cantábrico y los Pirineos: El conjunto de Altxerri en el contexto de la actividad gráfica magdaleniense. Nadir Ediciones, Santander.